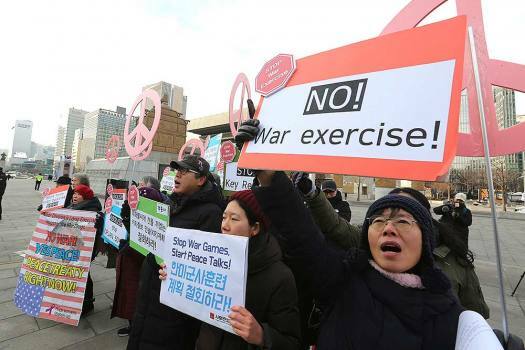 Protesters shout slogans during a rally demanding peace on the Korean Peninsula, near the U.S. embassy in Seoul, South Korea. 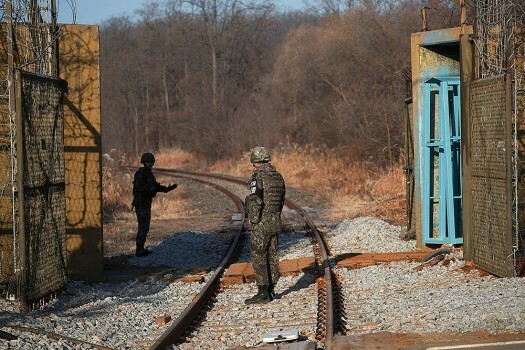 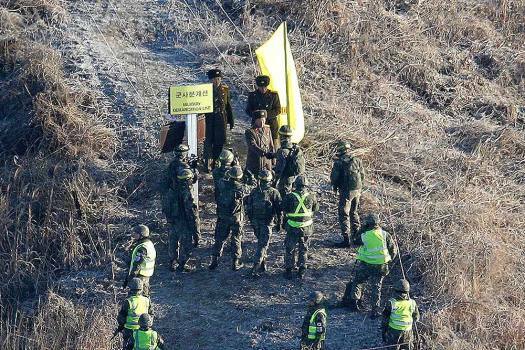 South Korean soldiers stand guard next to the rails which leads to North Korea, inside the demilitarized zone separating the two Koreas in Paju, South Korea. 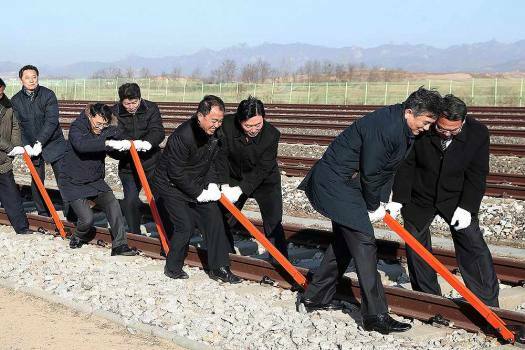 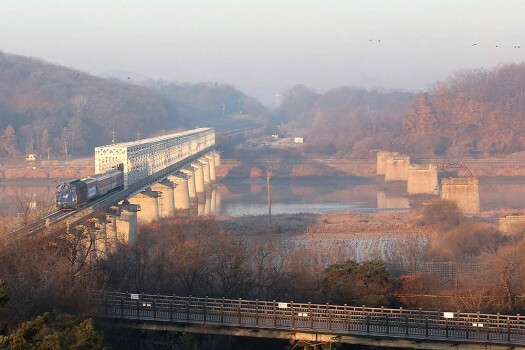 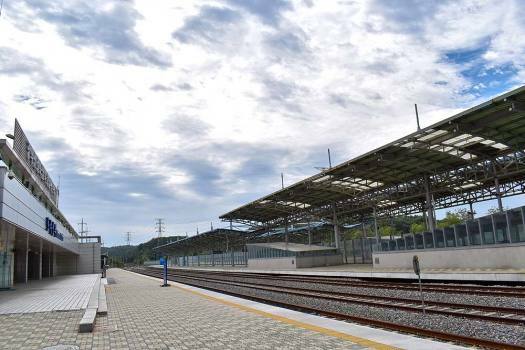 A view of the Unification Platform of Dorasan station, the last station on the South Korean side close to Demilitarised Zone (DMZ) which bifurcates the Korean peninsula. 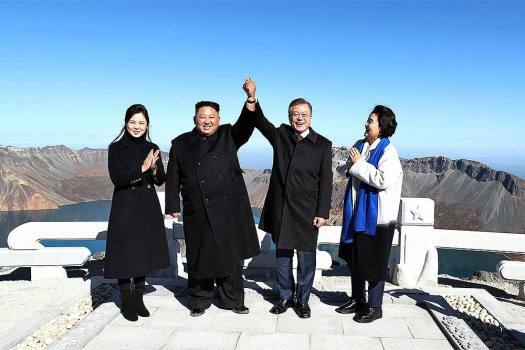 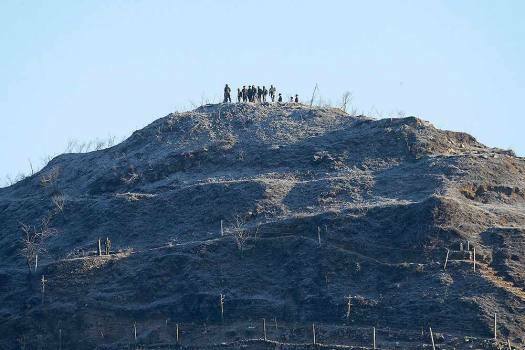 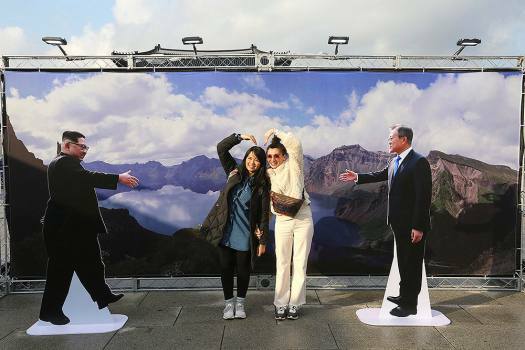 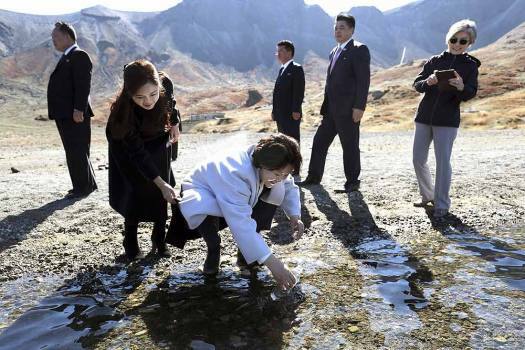 South Korean first lady Kim Jung-sook puts water from the crater lake as North Korean first lady Ri Sol Ju, second from left, watches on the Mount Paektu in North Korea. 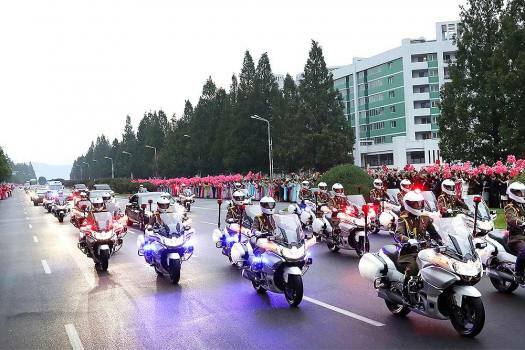 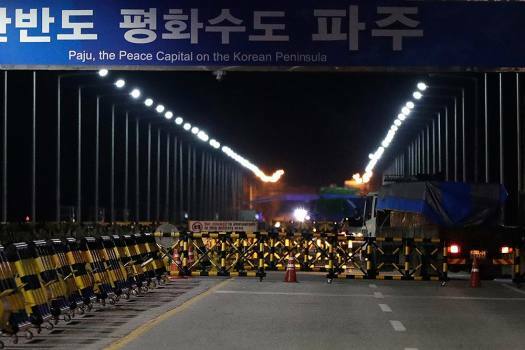 A convoy transporting South Korean President Moon Jae-in makes its way to Sunan International Airport in Pyongyang, North Korea. 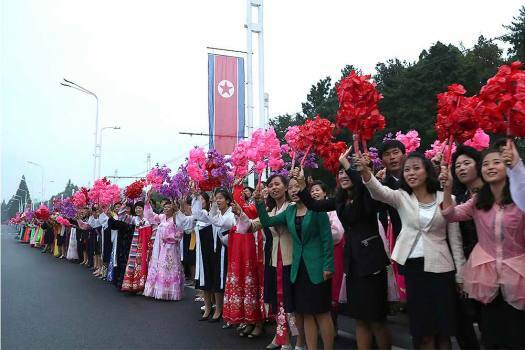 North Koreans wave on a street as a convoy transporting South Korean President Moon Jae-in makes its way to Sunan International Airport in Pyongyang, North Korea. 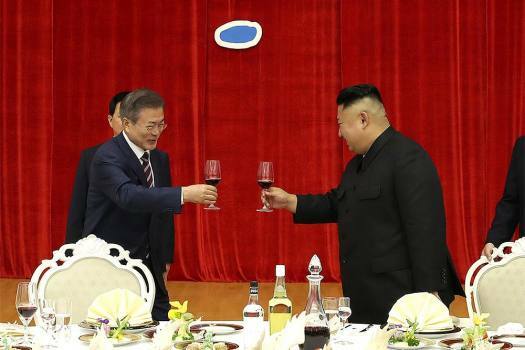 North Korean leader Kim Jong-un, right, toasts with South Korean president Moon Jae-in during a welcome banquet in Pyongyang, North Korea. 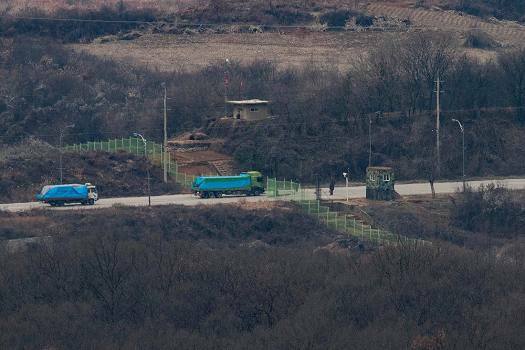 According to the UN estimates, 10.3 million people - almost half of North Korea's population - were in need of food due to a sharp drop in crop production. 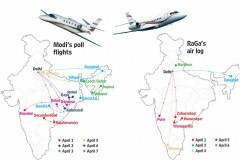 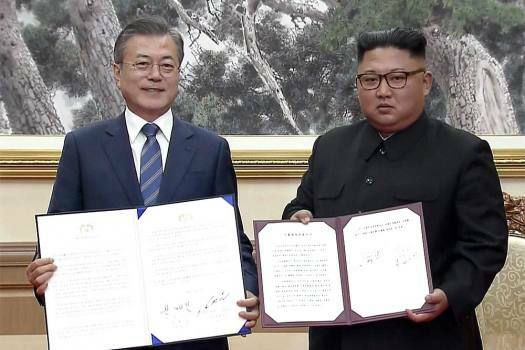 This is PM Modi's second visit to the Republic of Korea since 2015 and a second summit meeting with President Moon Jae-in. 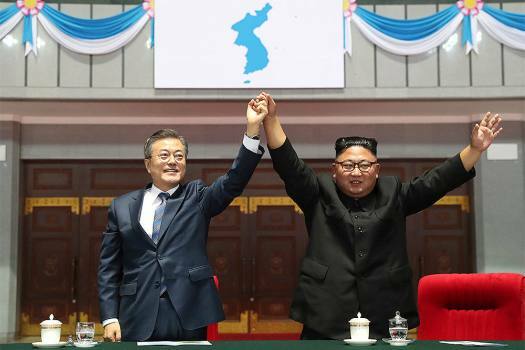 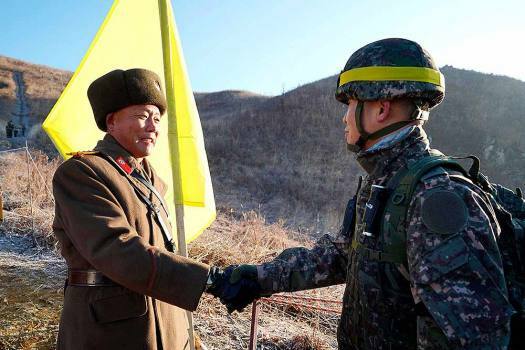 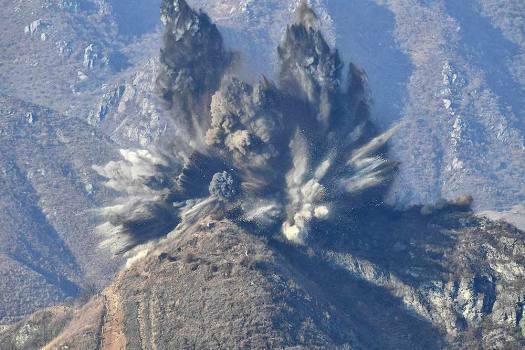 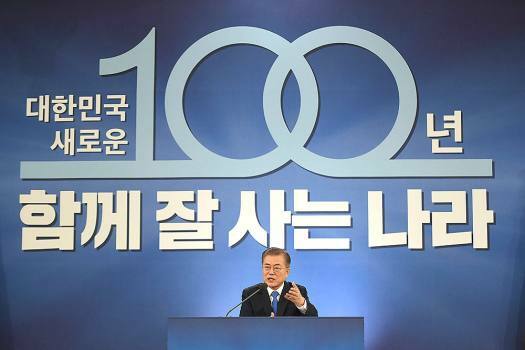 They also agreed that they would this year seek a permanent end to the Korean War, 65 years after the hostilities ended in an armistice rather than a peace treaty.